There’s Silver In Them Thar Hills! 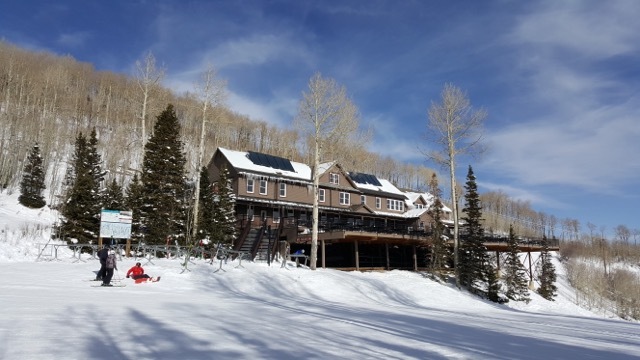 Park City: Visit Silver Mining Museum Sites On Skis. 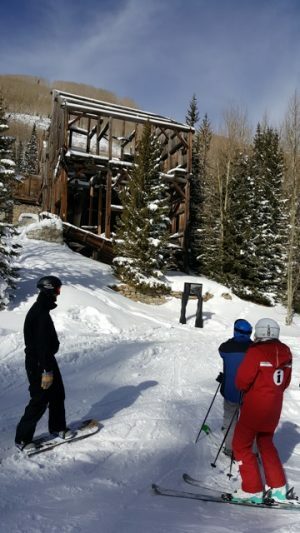 Led by Utah’s Park City Mountain Resort guides, the new Silver to Slopes tour skis you to various relics of the mining history scattered throughout beautiful scenery. More than 1,000 miles of tunnels lie beneath the slopes here. We ride up the McConkey Express with our amiable guide Jim Brown. He notes the tunnels buried beneath the lift once served to drain water from mining operations. Yikes. In 1963, United Park City Mines, the last active operation in Park City, opened Treasure Mountain Resort on the 3,700 acres it owned. Relying on mining engineering know-how, it put up J-bars, a gondola, and even a Skier’s Subway. The segue from silver mining to ski mecca is evident all around you. First stop is the Silver King Mine’s Head Frame Building, at the base of the Bonanza Express, closed in only 1953. Miners started digging the 1,450-foot-deep shaft in 1890. The only female mine owner, socialite Susanna Bransford, alias the Silver Queen, made her fortune here. You can ski her nearby namesake trail. Next stop the King Con Mine Ore Bin sitting to one side of Claimjumper. The Silver King Consolidated Mine, not to be confused with Silver King Mine, built the 1,800-foot deep Bogan Shaft here. The nearby King Con lift serves an intermediate’s paradise and is named for the mining company, not the giant gorilla, as many think. We ride the Silverlode Express past the Quicksilver Gondola, which has linked Park City to The Canyons as part of Vail Resort’s recent $57 million upgrade. At the new Miner’s Camp restaurant here, The Pickaxe Pub displays authentic ore picks, in keeping with the general theme. Next we ride McConkey’s Express to access the Georgeanna trail that follows the ridge past one of the best views on the mountain: Mt. Timpanogos (11,753 feet), Heber Valley, the town of Park City, the Uinta Mountains, and the top of Deer Valley’s Lady Morgan chairlift. Mid-Mountain Lodge was once a boarding house for miners (1897) and relocated from the bottom of the mountain to save it from demolition. We stop at Mid Mountain Lodge, once a boarding house for Silver King miners (1897), next used by the U.S. 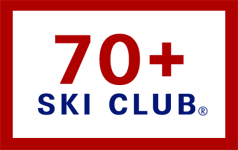 Ski Team (1973-75), now a popular lunch spot. Scheduled for demolition, a group of locals had it hauled up the mountain to this spot in 1987. Hurray for recycling. At the bottom of Thaynes lift is the famous California-Comstock Mine and 1,700 feet below via the Thaynes Shaft is the West End Tunnel where skiers used to ride the Skier Subway to access the Thaynes lift in the early days of Treasure Mountain. The ride took about 25 minutes. 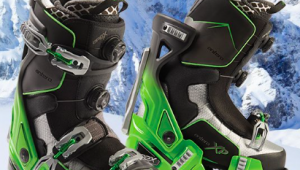 Most skiers did it once for the novelty, once for the kids, and that was it, notes Brown. Here’s a video of what has to have been the most unusual lift in ski country. The two-hour tour takes place on intermediate trails and departs daily from the Eagle statue in Park City Mountain Village at 10 a.m. and from the Bonanza Summit trail map at 1 p.m. Just show up. The tour also helps you get oriented at this mega resort. Donate to preservation efforts at Friends of Ski Mining History. 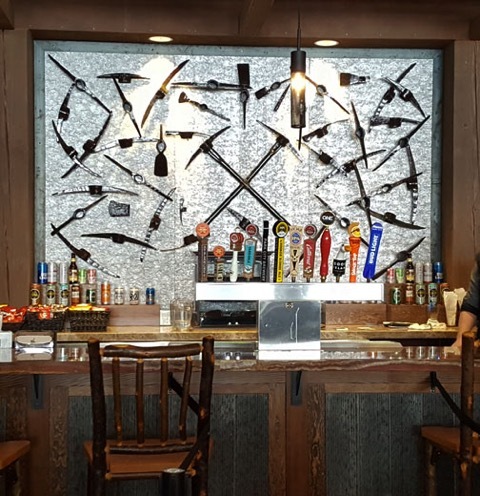 The Pickaxe Pub with display of vintage tools is a good place to wrap up the tour. Great story. Thank you for your behind the scenes (under the mountain) view of a great ski area.